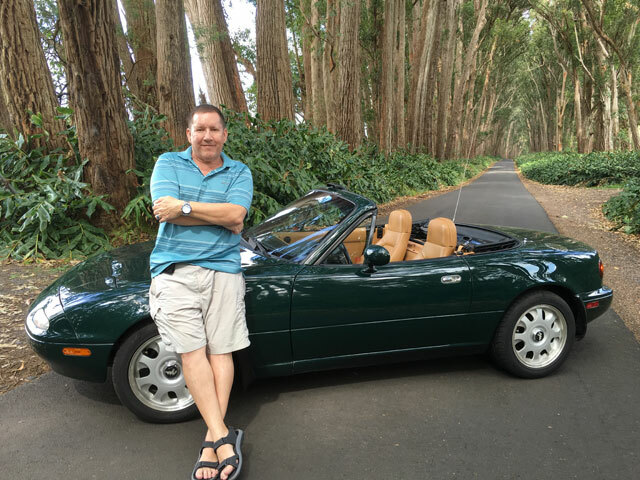 Congratulations to Dennis on his selection as our Featured MX5 Miata! 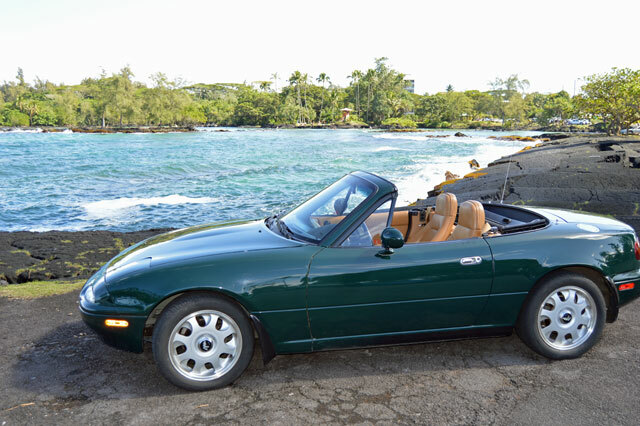 My little green Miata, BRG #2484 of 4000, turns 25 on 16 February. She is officially an antique. I first met her in August of 1996. I had just hit the peak of my mid-life crisis after turning 40 and I needed something to pull me out of my funk. I had been looking for a BRG for several years but never expected to be able to find or afford one. At that time I lived in the northwest part of Missouri and let's face it there aren't many Miata running around in that area, and no green ones for sure. While up in Iowa visiting family I was reading the Omaha newspaper and, as I always do, I checked the auto want-ads for any green Miata, and SHAZAM there was one listed. The owner was a doctor who was parting with his toy. Of course I fell in love with #2484 the moment I saw her. The good doctor was kind enough to have installed a CarTech turbo system and some larger Rod Millen wheels and Toyo tires for me, but otherwise she was mint with 24k on the clock. For the next few years, summertime was a great top-down life. I put a just few miles on her each summer as I puttered around town and out to my office. 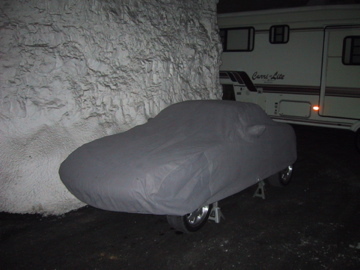 My Miata slept away the long Missouri winters in my heated garage from Sept to April, no road salt for this gal. I used this winter respite to tinker and to get to know her inside and out. Fast forward a few years and my life takes a drastic change. 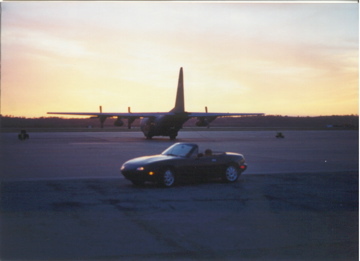 In 2000 I retired from the USAF and accepted a position in Italy, yes that Italy. We sold the house, the other cars and had an auction to unload most of the rest of the impedimenta collected over the years. But, the Miata would not be sold. I found a cave in Kansas City, MO, (Innerspace Storage) where my beauty could sleep until I returned in 2 years. Well... after the initial 2-year contract I was asked to stay on in Italy and remained until 2009. I could not stand leaving my baby in storage for so long so starting in 2003 August became our time. As you may know "us Europeans" basically get the whole month of August off for vacation. 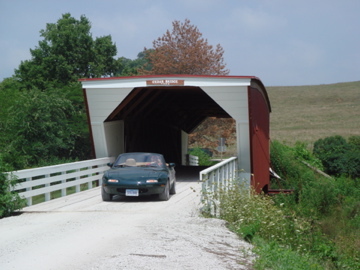 While my Italian colleagues head out to Greek Island cruises or to the beaches of Sardinia I head to Missouri and my Miata. 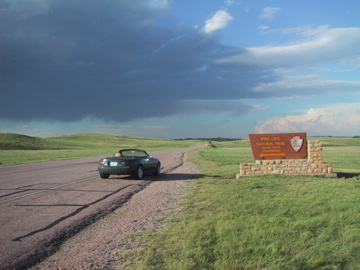 I took road trips every August with one of my young sons, whether we headed to South Dakota or North Dakota, Minnesota each was a great trip. Fast forward to 2016. 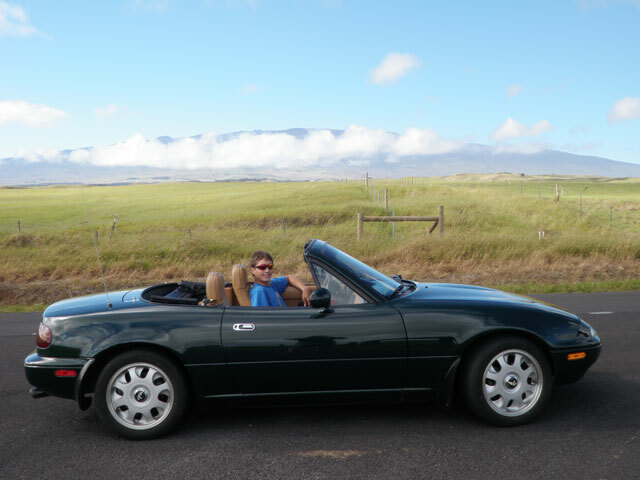 We have again moved, this time to the land of eternal summer, Hawaii, so every day is a top down day. Her body has held up better than mine I am afraid and she has over 60k on the clock. I needed Chemotherapy and #2484 has also had some mechanical issues over the years but looks as good as the day she shipped out of Japan. The turbo makes her a joy to drive, always power when I want it. As of today we are both healthy and happy. Over the years I have modified my baby with the help of the Miata community. In 1998 the Viscous LSD went south and I upgraded to a Torsen. 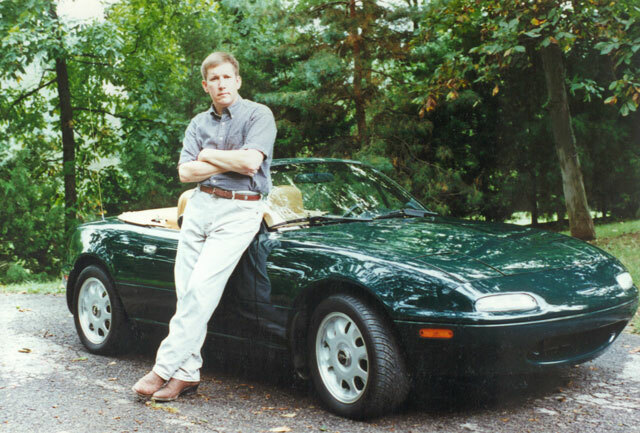 2002 (after teaching my son how to drive a stick) I replaced the clutch with a Flyin' Miata clutch Happy Meal with FM ACT clutch, lightweight flywheel and clutch switch override. Moss Motors High Flow grill, 1998 and again in 2014. Flyin' Miata cockpit brace, 2005. Moss Motors Chrome fuel lid, 2005. Polished Stainless Steel Wiper Cowl Cover from Raven Wing Performance, and more.